It’s been nearly a month since the Pittsburgh Steelers’ 2016 quest for a Lombardi trophy went up in smoke at the hands of the Patriots in the AFC Championship game. During that time, the general feelings regarding the team’s accomplishments have been those of disappointment, along with bitterness and anger. I must admit that I was quite depressed for a few days following the end of Pittsburgh’s campaign, and I even went so far as to not want to acknowledge what a great ride 2016 really was. After all, the Steelers came within two victories of a seventh Super Bowl title. Think about that for one moment. Just two more victories, and the perception among fans would have been much, much different. And when you put the Steelers 2016 season into that kind of perceptive, it really does make you appreciate what a wonderful job they did. As Steelers fans, we’re almost nauseating when it comes to our high-standards for the team, and how nothing short of a championship is acceptable in our eyes. If that’s the case, why celebrate any moment, any victory, any advancement in the postseason, if it doesn’t all lead to a championship? Why not just sit on your hands the entire season and reserve your real appreciation for when NFL Commissioner Roger Goodell is presenting Dan Rooney with that Lombardi trophy on a grand stage following a Super Bowl victory? Fact is, Pittsburgh gave you and I many great moments in 2016 that included 11 wins, a division title and two postseason triumphs on the way to the AFC Championship game. The Steelers 2016 season included a nine-game winning-streak, almost 1900 yards from scrimmage by Le’Veon Bell in just 12 games, a coming-of-age defense that includes many young defenders, such as Ryan Shazier, Artie Burns, Javon Hargrave and Sean Davis. Then there was the resurgence of veterans such as Lawrence Timmons and James Harrison. And, of course, that glorious moment on Christmas night, when Antonio Brown essentially extended the season by extending his arm over the goal line, as three Ravens tacklers were trying to prevent him from doing so in the waning seconds of the de facto AFC North title game at Heinz Field. So, while many fans (and even some of the Steelers, themselves–including quarterback Ben Roethlisberger) have been screaming for change since that 36-17 beatdown at the hands of the Patriots, I just wanted to be one who offered my virtual hand and thanked you for a tremendous season. It wasn’t long ago that just winning a playoff game was a monkey that needed to be extracted from the organization’s back. Now, three in two years? Again, sometimes it’s good to gain a little perceptive. Crafting a compelling, yet honest, Steelers 2016 annual review presents a challenge, but Steelers President Art Rooney II is on the right track. While Rooney’s take aways from 2016 are by and large positive, he underscored the need for more “consistency” several times. Head coach Mike Tomlin offers an even better metaphor for summing up the Steelers 2016 season – the moving train. The “Moving train” metaphor is a Tomlinism that popped into the Steelers Nation’s vernacular in 2014 when Tomlin used it to explain Shamarko Thomas and Lance Moore’s inability to get back into the lineup after an injury. This year he applied it to Ladarius Green. The truth is that Steelers 2016 season highlights Mike Tomlin’s “Moving train” metaphor perfectly – When the Steelers were on it, they got where they wanted to go; When the Steelers failed to get on it, they stranded themselves. Like his predecessor Bill Cowher, Mike Tomlin has oft asserted that an NFL team finds its identity in the first 4 to 6 weeks of the season and that was certainly true of the Steelers in 2016. The Steelers entered the 2016 off season as Super Bowl contenders, and despite some radical personnel disruptions on offense, the Steelers 38-16 opening a day win over the Washington Redskins confirmed their status as potential champions. History will forget that the Redskins actually forced a turnover to start the game and then quickly leapt to a 6-0 lead before the 2nd quarter began because the Steelers, like a moving train, never appeared to lose control. The story was the same a week later in Cincinnati. 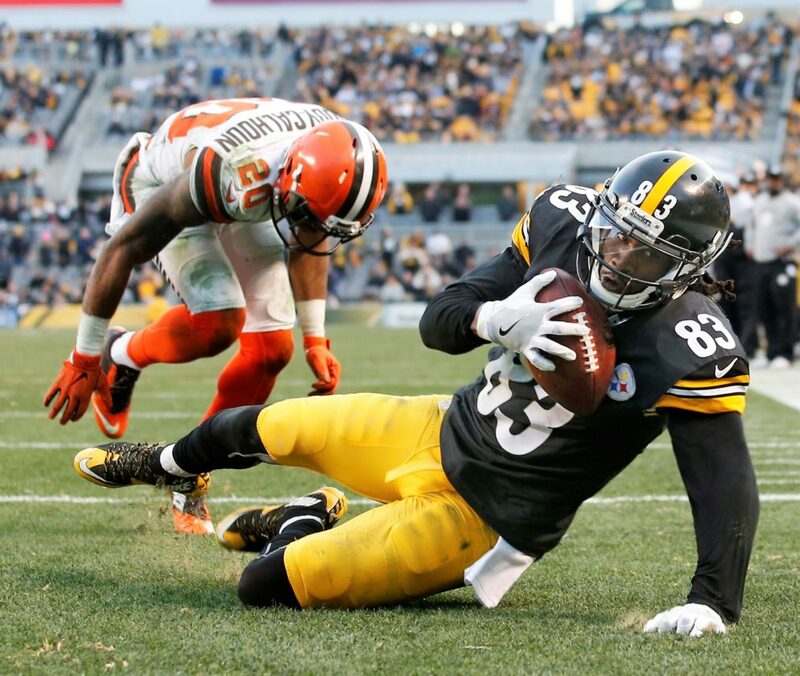 The Steelers didn’t dominate their rivals, but also never trailed during a 24-16 win. In Philadelphia, the Steelers found the nasty flipside to the identity they were forging. The Steelers opened by advancing to the Eagle’s 18 in a drive that consumed 6 minutes of clock, only to have Markus Wheaton drop a touchdown pass and Chris Boswell miss a field goal. And in the blink of an eye, the Steelers were off the train as they never contested the Eagles dominance after that point. And so went the entire season. At Miami, Ben Roethlisberger’s injury knocked the Steelers off the moving train and struggled to get back on the locomotive for the next 3 weeks. The only exception to the “moving train” metaphor came in the loss to Cowboys. Yes, the loss was dramatic, and potentially devastating precisely because the Steelers contested that game until the bitter end. Undaunted by such drama, Mike Tomlin pulled the Steelers back on to the moving train for Steelers for 9 straight wins. While the Steelers certainly didn’t dominate in each of those contests, Pittsburgh never let any of those games get out of control. Even in the come from behind win over the Bengals, and even on Christmas, when the Ravens re-took the lead with 1:18 remaining, the Steelers on the field demeanor never suggested that they couldn’t regain control. Contrast that with the AFC Championship game. The Patriots easily advanced to Pittsburgh’s 18 on their first drive, but the Steelers defense forced a in the Red Zone. However the Steelers offense answered with two strong runs by Le’Veon Bell followed Sammie Coates dropping well-placed bomb on third down. Javon Hargrave ended the Patriot’s next possession by sacking Tom Brady on 3rd down, but the Steelers offense responded with a 3 and out, the Steelers effectively out of the game at that point. As a consequence, the 2016 Steelers were forced to watch the moving train continue to Super Bowl LI. Why Did Mike Tomlin’s Moving Train Suddenly Stop and Start? If Mike Tomlin’s moving train metaphor explains how the Steelers 2016 season unfolded, it does little to explain why things worked out that way. But objectively speaking, there’s no mysterious X-Factor behind Pittsburgh’s hot and cold performances of the 2016 season. Art Rooney II hit the nail on the head in asserting that the Steelers need to be more consistent in establish a pass rush, covering in the secondary and scoring touchdowns in the Red Zone. A football genius shouldn’t need to tell you if you can’t execute in these three areas, you won’t win much. The good news is the Steelers pass rush and pass coverage improved during the latter half of the season. The Steelers Red Zone efficiency continued to be an issue, as evidenced by twin Chris Boswell 6 field goal games in December and January. Although it may not feel that way now that New England has unequivocally asserted its dominance as the AFC’s alpha male, the Steelers did end 2016 with the arrow pointed up, and can potentially take some lessons from that experience into 2017. That’s a fair point, but the art of learning how to win and/or unlearning how to lose is very real process that champions must master. There’s no better example of two teams heading in different directions along this continuum than the Steelers and Bengals during the 2015 Wild Card game. The Steelers goal line stands against the Colts and the Giants, Eli Roger’s and Ladarius Green’s key catches against the Bengals, Ryan Shazier’s and Lawrence Timmons fill in the blanks splash plays, Bud Dupree’s sacks vs. the Bill and all of the plays that culminated in Antonio Brown’s Christmas Day stretch count as part of the process of learning to win. To Mike Tomlin’s credit, he started preaching this the morning after Super Bowl XLIII and has reminded the team of this since. But contrast the names on the stat sheet from last year’s loss to Denver against those from the Patriots game or track the changes in the Steelers depth chart from the beginning of training camp to December 1st, and you see what Tomlin is talking about. Sure, having Martavis Bryant, Markus Wheaton or Cameron Heyward would have helped the Steelers against the Patriots, but had they been available, its just as likely that someone else would have been out. No one can accuse Todd Haley of being too pass happy during the second half of the season. 3 record breaking performances by Le’Veon Bell say that the Steelers executing the strategy that gave them the best chance to win. But without Bell the Steelers were rudderless against the Patriots. Assuming that the Steelers can keep the trio together without busting their salary cap, and assuming that the sniping between Ben Roethlisberger and Antonio Brown doesn’t turn toxic, the Killer Bees give the Steelers a Super Bowl caliber trio along the lines of Aikman, Irvin and Emmitt. But just as those Dallas teams also needed their Alvin Harpers, Jay Novacks, Charles Haleys and Thomas Everetts (yeah, that hurt), the Steelers Killer Bees can’t do it on their own. The loss to Dallas brought that to light and, quite frankly, even had Bell not gotten hurt, the Patriots probably would have provided Pittsburgh with another reminder. 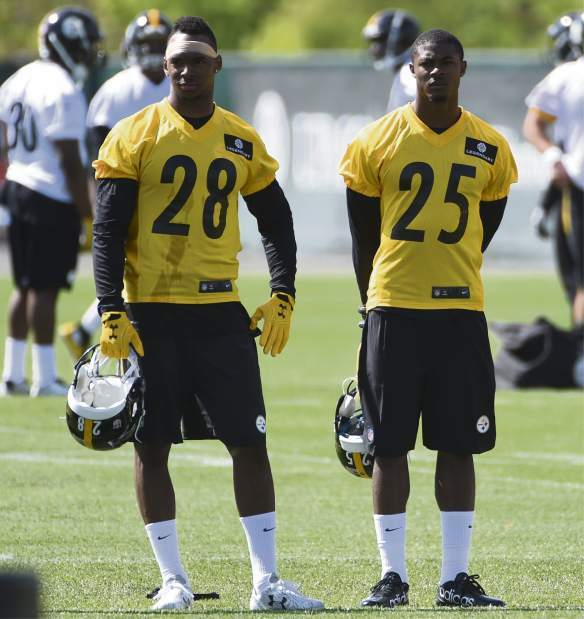 While the Steelers would do wise to keep Ben, Brown and Bell together as long as they can, they also must be mindful the the 3 of them can’t do it alone. The Steelers 2016 season is now history. The 2017 off season will bring new challenges and new faces while some familiar names will depart for greener pastures or otherwise begin their Life’s Work. If the Steelers 2016 season highlights a living example of Mike Tomlin’s “Moving Train” then the reality is that train could deliver Pittsburgh’s return to the Super Bowl, but it did move them a step closer. Taken from the grade book of a teacher who saw his students make some impressive strides during the past year, but nonetheless sees that they’re still not ready to weather the pass-fail nature of a full NFL playoff run, here is the Pittsburgh Steelers Report Card for the 2016 Season. How good is Antonio Brown? How about this? You take away any hint of a legitimate number 2 wide receiver, as well as a must respect dependable tight end and he still makes over 100 catches and brings in two more touchdowns than he did a year ago. Oh, yeah, and he consummated one of the most dramatic comebacks in franchise history on Christmas with a truly incredible play. Unfortunately, Antonio Brown didn’t get a lot of help from his fellow wide outs. “Disappointment” is the only way to classify Sammie Coates‘ second season. Coates was supposed to make us forget about Martavis Bryant, but instead reminded us of Limas Sweed. Injuries ruined Markus Wheaton and Darrius Heyward-Bey’s seasons, and the Steelers could have used both of them. Eli Rogers performed extremely well, although his fumble in the AFC Championship hurt the team. Ditto Cobi Hamilton. The former practice squad barnstormer came up with several clutch catches during the year, and Demarcus Ayers did the same when he finally saw action late in the year. Let’s begin by ordering some crow with a side of humble pie. When Cameron Heyward went on injured reserve, this site declared, “Game Over.” Fortunately, that’s not what happened. Instead, led by Stephon Tuitt, everyone on the defensive line stepped up their play a notch. Nine games into the season, the Steelers defensive line looked incapable of stopping anyone. By the season’s end, the Steelers were holding feature backs to negative yardage for entire halves. In 2016 the Steelers linebackers returned to their status as the strength of the defense. This resurgence was fueled by strong second halves by Lawrence Timmons and Ryan Shazier, who seemed to make splash play after splash play. Bud Dupree got a late start to 2016 thanks to an injury, but Dupree came in second on the team in sacks despite only playing in 7 games and starting in four. James Harrison of course came off the bench to start the Steelers final 7 games, and the improvement of the Steelers defense with Harrison in the lineup full time is by no means coincidental. If Harrison did provide a spark to the pass rush, and made smothering tackles in run defense, his days of covering receivers downfield should be at an end. The secondary was the Steelers weak link in 2015 and arguably has been a weak link for some time before. Management gambled and essentially re-wrote the depth chart, taking a huge gamble in the process. Artie Burns and Sean Davis were both at the center of this gamble. While Sean Davis was the more consistent player who was playing like an absolute stud by year’s end, Artie Burns also made impressive strides as they year went on. Ross Cockrell likewise vindicated the faith that the coaches and front office showed in making him a starter, and Mike Mitchell didn’t provide as many splash plays as he did in 2016, but provided veteran leadership and stability. William Gay offered steady play, but it is fair to ask whether he’s losing a step. Special teams coach Danny Smith is everyone’s favorite scapegoat in Steelers Nation. While the Steelers special teams did leave a lot to be desired at times, all of the blame doesn’t necessarily fall on Danny Smith’s shoulders. Chris Boswell provided another solid year of place kicking. Whether it was kicking field goals in the snow at Buffalo or in windy Cincinnati or on the road in Kansas City, Boswell was Mr. reliable and arguably the MVP on two of those 3 contests. His counterpart Jordan Berry had a solid year, but failed to do anything to stand out. The Steelers kicking and kick coverage units were the bigger area of concern. While the NFL is trying to eliminate kick returns, the Steelers kick returners routinely trade 15 yard returns for 25 yard touchbacks. And while the Steelers avoided getting burned by a punt or a kickoff returned for a touchdown returned long return this season, there were too many close calls. On the positive side, the Steelers special teams defended several on-sides kick attempts; however, 2007 remains the last time the Steelers executed an on sides kick of their own. The Steelers also got caught on two fake punts. One of the things that frequently gets lost in the shuffle is that Steelers offensive coordinator Todd Haley had far fewer weapons to work with in 2016 than he had at his disposal in 2015. Nonetheless, the Steelers offense still finished in the top ten in terms of both scoring and yards. Todd Haley drew fire for not relying on Le’Veon Bell enough against Miami in the regular season and the perhaps for trying to rely too heavily on him in the first matchup against the Ravens. But the Steelers offensive found the right balance during the second half of the season. On defense, Keith Butler’s second full season did not start well, as the Steelers struggled at times, and at the season’s mid-point, Butler’s defense was drawing unfavorable comparisons to Tony Dungy’s 1988 Steelers defensive squad, which set franchise records for futility. But during the second half of the season, the Steelers defense began playing a new tune. And if the inserting of James Harrison and Bud Dupree helped improve performance, the absence of Cam Heyward can hardly be considered a plus. The bigger change was that Butler got his players to focus on doing their job and, equally importantly, he got production out of his 3 rookies. By the season’s end the Steelers defense was one of the best at sacking the quarterback, and also improved in creating turnovers. By his own admission, Mike Tomlin won’t be considered a success until his team raises Lombardi Number 7. Fair enough. It is also fair to criticize Tomlin for the team’s lackluster performance in Philadelphia and also for the loss at Miami. But all hope looked to be lost when the Steelers gave up a hearbreaker vs. the Dallas Cowboys. Those are the types of losses that can sink a season. But Mike Tomlin kept his team from riding the emotional rollercoaster, and they went on a 9 game winning streak, with the team seemingly getting stronger with each win. Losing a player like Heath Miller is never easy, and it becomes all the more difficult if the high profile free agent you sign to replace him only manages to play 6 games. But the Steelers transition away from the Heath Miller era at tight end was largely successful, and Jesse James was a big reason for that. James’ blocking improved as the season wore on, and he found himself making several critical catches for the team during December and January, and for that Jesse James wins the Unsung Hero Award for the 2016 season. Just stop and think for one moment of everyone and everything that comprises the product of an team’s NFL season? It’s a process the delivers the collective sum total of the actions taken by hundreds of players, dozens of scouts and coaches and scores of front office personnel . Trying to quantify that endeavor is as daunting as it is foolish. While we’re not quite so ambitious here at Steel Curtain Rising, we have tried to single out the 16 Defining Moments of the Steelers 2016 Season. Antonio Brown’s last second touchdown vs the Ravens on Christmas was a defining moment for the 2016 Steelers. Photo Credit: Fred Vuich, AP. This moment of course came 2 years before the 2016 season even started and, in the predigital age, only would have warranted an inch or two of column space, if even that had it not been for Alejandro Villanueva’s Army background and service in Afghanistan. But Kevin Colbert, Mike Tomlin and Mike Munchak saw something they linked in the young man, decided to give him a shot at a new position. Two years later that move paid dividends as Kelvin Beachum left, while Ryan Harris and Jerald Hawkins got hurt – yet thanks to Villanueva’s development, the Steelers offensive line played perhaps its best football of the Tomlin era. After a highly depleted 2015 Steelers roster came SO close to upsetting the Denver Broncos at Mile High in the AFC Divisional playoff game, it was tempting to look to 2016 and imagine the team picking up just where it left off. However, as Mike Tomlin reminds the media and his team at the end of every season, each year brings a new start and there is no carry over. And Heath Miller’s retirement was the first example of this. The move, while not surprising, wasn’t anticipated and, if Heath Miller was no longer a threat to stretch the field, Heath Miller gave Ben Roethlisberger about as dependable target as a quarterback can get. If Heath Miller’s retirement was a subtle but sobering reminder that the Steelers won’t field the same team in 2016 that they finished with in 2015, Martavis Bryant’s latest suspension of substance abuse made the point with shocking clarity. While consistency eluded Martavis Bryant during the 2015 regular season, during the 2015 playoffs Bryant showed that he had Jerry Rice-like transformation talent. His suspension showed that he also had Randy Moss off the field discipline issues that could prevent him from realizing his full potential. The Steelers decision to release Cortez Allen 2 weeks before the 2016 NFL Draft hardly ranks as a surprise, given Mike Tomlin’s comments on Allen at the 2015 season’s end. But cutting Cortez Allen, along with the decisions to let Antwon Blake and Brandon Boykin depart as free agents, and not bring back safety Will Allen for yet another year, showed that Tomlin, Colbert, Keith Butler and Carnell Lake were going all in on renewing the Steelers secondary. The Steelers need to rebuild on defense has been well documented, particularly their failure at rejuvenating the secondary. The Steelers went into the 2016 NFL Draft with a plan to boost the defense, and Kevin Colbert and Mike Tomlin never flinched drafting Artie Burns in the first round, Sean Davis in the second round and Javon Hargrave in the second round. The move paid handsome dividends as each player stepped up to make important contributions to the Steelers 9 game winning streak that closed the season. In June the Steelers surprised everyone by signing David Johnson, the final pick from the 2009 Draft Class who’d spent 2014 and 2015 with the San Diego Chargers. The move telegraphed Matt Spaeth’s release, further reinforcing the turnover theme. However, as training camp dragged on, and Ladarius Green came no closer to practicing, it was clear that David Johnson would give the Steelers a veteran presence and solid blocking ability to a very green crops of tight ends. During the off season, Mike Tomlin spoke glowingly about Senquez Golson, the cornerback the Steelers took in the second round of the 2015 NFL Draft who lost his rookie season to shoulder surgery. The Steelers were counting on Golson to do big things in 2016. Unfortunately, Senquez Golson’s 2016 season amounted to two padded practices in change as he injured his Lisfranc. The Steelers kept Golson on the active roster, but ultimately had to put him on injured reserve, further highlighting the magnitude of the risk the Steelers were taking with their secondary. When the Steelers signed Cobi Hamilton on August 5th they were picking up a guy who’d bounced around to several practices squads over the last three years. By the look of it, they were doing little more than picking up another body to help them get through training camp drills. But Hamilton did well enough to make the final roster. And if Hamilton did struggle during the Steelers AFC Championship loss to the Patriots, the rookie effectively functioned as the Steelers 3rd wide receiver during their 9 game winning streak. The Steelers preseason win over the New Orleans Saints served as their dress rehearsal for the season, and by all accounts the Pittsburgh passed with flying colors. Except that Markus Wheaton injured his shoulder in the game. Steel Curtain Rising admits to being somewhat of a homer for Markus Wheaton, but Wheaton played very well down the stretch in 2015 and the Steelers sure could have used him during the second half of 2016. Alas, Wheaton did return for a 3 game stretch in early part of the season, but was lost for good in week 11. Le’Veon Bell started 2013 injured, finished 2014 injured, began 2015 on suspension and finished the year on IR. Again, he began 2016 serving a suspension. So let’s remember that there WERE legitimate question as to whether this young back could deliver on the field when the Steelers hosted the Kansas City Chiefs on Sunday Night Football. Le’Veon Bell steamrolled the Chiefs for 178 all-purpose yards. In doing so, the young running back put the NFL on notice that stopping the Steelers would mean stopping him. Its no secret that Ben Roethlisberger remains the one, indispensable player on the Pittsburgh Steelers roster. His injury, in addition to the coach’s decision to abandon the run early, cost the Steelers the game in Miami, and arguably cost the Steelers on the road to the Ravens. Those losses prevented the Steelers from securing a first round bye, which proved costly. The naysayers in Steelers Nation have long been down on Ryan Shazier for being injury prone. The fact is that, with on disrespect to Vince Williams, the Steelers missed his athleticism during the middle portion of the season. Shazier returned to his status as a full time starter against the Ravens. And while the Steelers defense didn’t pick up its performance immediately, within two weeks Ryan Shazier was back to making splash plays all over the field, and by the season’s end, he was easily the Steelers best defender. 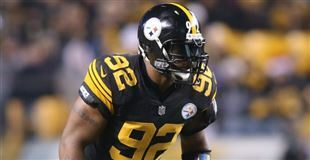 Since James Harrison returned from retirement in 2014 the Steelers have rotated him in some form or fashion, attempting to groom Jarvis Jones to take over the role full time. But Jones flinched on the critical play of the Steelers loss to the Cowboys, and Mike Tomlin wasted little time in promoting James Harrison to a full time starter. All Harrison did was lead the team in sacks in his 7 starts. More important, James Harrison held transform the Steelers rush defense from a liability into an asset. As Mike Tomlin rhetorically questioned when he announced the move, “What are we saving James Harrison for?” A playoff run, which is what the Steelers got. Yes, the Steelers needed this one to clinch the AFC North division in an all or nothing shot. Yes, this epic Christmas game was worth of narration by NFL Films legend John Facenda, yes Antonio Brown last minute stretch was an act that revealed his sheer greatness. But there’s something more important that happened on Christmas 2016 for the Steelers. The Pittsburgh Steelers snapped a 5 game losing streak to the Baltimore Ravens with this win. And while that hardly reestablishes the Steelers as the alpha male of the division, a six straight loss would have conferred that status to the Ravens. When Le’Veon Bell broke the Steelers single game playoff rushing record the first time this, we stopped and reflected on what it meant. Then Bell went out and did it again in the following week. In other words, Bell did something in two games which Franco Harris, Jerome Bettis, Rocky Bleier and Willie Parker couldn’t do in 58. On an individual level, this feat highlights just how special of talent Le’Veon Bell has. However, on a team level this also seemed to underscore that the Steelers were going to go as far as Le’Veon Bell would take them…. …And Le’Veon Bell’s ride would end early in the first quarter against the New England Patriots, where the Steelers would fall 36-17 in a game that wasn’t even as close as the score indicates. For all of the growth they made and for all of the adversity they overcame, the 2016 Steelers simply weren’t Super Bowl worthy, as their latest AFC Championship loss to the Patriots revealed. We’re wrapping up coverage of the Steelers 2016 season this week. Check back for their regular season report card and season summary. The frustration following the Steelers 36-17 AFC Championship loss to the Patriots has been palpable throughout Steelers Nation. And for good reason. The Steelers fell flat, allowing their conference rival New England Patriots to cement their status as the top dog in this era. But the question our post game poll asked our readers to answer was why? What was the critical flaw that caused the Steelers to fall short? Perhaps that, in and of itself is too limited of a question, as multiple factors were at work. But the objective of this poll, if perhaps imperfectly applied, was to ask readers to make a stand. The poll’s results were interesting. For 61% of readers, the Steelers lack of a pass rush and inability to pressure Tom Brady is what doomed Pittsburgh against New England. That’s a fair conclusion. Indeed, if Jim Wexell’s reporting is correct, the Steelers had a rather unorthodox plan to get to Brady, it didn’t work. Javon Hargrave sacked Brady early when the Steelers were only 3 points down. When Sean Davis got to him next, the Steelers 2016 rookie of the year indulging in nothing more than pure garbage time glory. In between, it seems like the Steelers hardly laid a glove on Brady. Maybe that’s not quite right, but visions of Lawrence Timmons, James Harrison, Bud Dupree and Ryan Shazier never materialized. Next, 27% of readers opined that the Steelers young defense wasn’t ready. Again, it’s hard to argue to the contrary. As noted in the post-game report card, whatever play Keith Butler and Mike Tomlin called on the Patriot’s first touchdown certainly didn’t call for Chris Hogan to have half the end zone to himself. After that, polling dropped to single digits. Cobi Hamilton, Eli Rogers and Sammie Coates inability to be Antonio Brown’s number 2 only drew 5% support. The Steelers lack of a Red Zone threat, which admittedly is closely tied to who is their number 2 wide receiver, only clocked in at 3%. Suprisingly, the fact that the Steelers lost Le’Veon Bell so early in the game also only drew 3%. And even a smaller share of our readers, 2% felt that Ben Roethlisberger’s short comings were the decisive factor in this loss. With 20/20 hindsight, the question about whether the defense was too young to go toe-to-toe with the New England Patriots is probably the wrong one. I should have applied the question to the Steelers team as a whole. As Bob Labriola has argued, the Steelers offensive miscues were just as, if not more costly than their defensive failings. To that end, the question about the Steelers Red Zone failings and their wide receiver probably should have been lumped together as one. Even with that said, you our readers have spoken, and it is your view that the Steelers defense was the Achilles heel vs. the Patriots. And these polls are about giving you your voice. Thanks as always to all of you who took out time to vote. The Pittsburgh Steelers are already moving on from the 2016 season and working on scouting players for the 2017 NFL draft and making the team’s first free agent decisions. That’s exactly as it should be. Steel Curtain Rising will of course provide full coverage of the Steelers moves in free agency along with assessing their draft needs. But before closing the book on the 2016 we’ll do a final season-ending report card, take a look at some of the season’s defining moments, and provide a full throated “what it all means” end of the season review. In case you haven’t been paying attention to the latest edition of the Steelers Patriots rivalry (or simply tried to block it out of your mind), the Steelers are home for the rest of the postseason, after suffering a humiliating 36-17 loss to the Patriots in the AFC Championship game at Gillette Stadium this past Sunday night. If the words “humbling” and “embarrassing” sound familiar to you with regards to Pittsburgh’s run-ins with the Patriots over the years, that’s because they’re pretty accurate and descriptive. After Sunday’s loss, the Steelers are now 2-10 against New England in games in the Tom Brady era. Furthermore, after accruing another three touchdown passes in the title game, Brady now has 22 to zero interceptions when facing the Steelers in the Mike Tomlin era, which started in 2007. And if you want to really be sick to your stomach, you may need a bucket after learning that the Steelers’ had zero passes defensed against Tom Brady on Sunday, this despite him dropping back to pass 42 times. If there ever was a team that had another’s number, it’s the Patriots over the Steelers. Obviously, if you are a die-hard Steelers fan, you were hoping against hope that they’d be able to exorcise the New England demons and walk out of Gillette Stadium with a postseason victory and a trip to Super Bowl LI. Unfortunately, if you really are a die-hard fan of the Black-and-Gold, you now realize the Patriots are clearly the superior franchise and have been for the past 15 years. I mean, did Sunday’s loss look any different to you than the debacles that took place at Heinz Field in both January of 2002 and January of 2005, when Pittsburgh fell victim to the Patriots with a trip to the Super Bowl on the line? Ben Roethlisberger, Antonio Brown, Le’Veon Bell all playing against the Patriots? Check. James Harrison and Lawrence Timmons playing their first playoff game against the Patriots? Check. A Mike Munchak-coached Steelers offensive line with a healthy Maurkice Pouncey? Check? At the end of the day, it might has well have been Kordell Stewart under center handing off to Amos Zereoue and trying to hit Bobby Shaw in the slot, with Lee Flowers and Dewayne Washington tackling receivers as Brady picked apart the Steelers zones. They seemed all-too familiar, and now, after clinching their seventh trip to the Super Bowl since 2001, it’s clear the Patriots, and not the Steelers, are the standard of this excellents modern era. Oh sure, the Steelers, with 10 playoff appearances, eight division titles, six AFC title game appearances, three trips to the Super Bowl and two Lombardi Trophies since 2001, have been one of the stars of the NFL in the 21st century. But the Patriots, with 14 AFC East titles, seven trips to the Super Bowl and four Lombardi Trophies over that same time-frame, are rightfully the measuring stick for all NFL franchises. And there’s nothing wrong with that. While Pittsburgh, with its four Super Bowl victories in six seasons, was the dynasty of dynasties of the 1970s, the Cowboys and Raiders, with their star-studded rosters and combined three Super Bowl titles, certainly carved their own places in NFL lore. The only problem is, it appears that the Patriots’ dynasty, one that seemed destined to end years ago, will continue on for seasons to come. Bill Belichick, for all his faults with regards to Spygate, is one whale of a head coach. Belichick took over as New England’s coach in 2000, stumbled upon the greatness of Tom Brady due to injury and soon found a formula for success, one where he has discovered a knack for going after a specific type of player at a specific type of position (can you tell where Wes Welker began and where Julian Edelman ends?) and plugging that player into his system and having success. Sure, it helps to have Tom Brady at quarterback, but the scary thing about him is, at age 39, he shows no signs of slowing down. I mean, we’re not talking about Peyton Manning, who threw nine touchdowns to 17 interceptions in his last season in 2015; Brady threw 32 touchdowns to only two interceptions in 2016, while only being sacked 15 times in 432 passing attempts. In other words, Brady looks like he can play another five years, and if you’re a Steelers fan who watched him carve their defense up in the AFC Championship game, that has to be kind of chilling. In-addition to Belichick, Brady, the system the Patriots employ and their franchise-wide commitment to winning, New England has and apparently will continue to benefit from an overall weak AFC East Division. If you are old enough to remember the ’70s, you know that while the Steelers dominated the old AFC Central to the tune of seven division titles, they still had to stave off the Browns, Bengals and Oilers, who were determined to build their franchises up in-order to compete. Houston came close, challenging the Steelers two years in a row in the AFC Championship game, while the Bengals swept Pittsburgh in both 1980 and 1981 and actually advanced to Super Bowl XVI, following the ’81 season. Besides the Patriots, only two teams have won the AFC East since 2001–the Jets in ’02 and the Dolphins in ’08. The Bills haven’t been to the playoffs since before New England’s run started (1999), the Jets’ last postseason appearance was 2010, while Miami just made it back this year after an eight season absence. With Rex Ryan, Mark Sanchez and a great defense, it looked as if the Jets would become a worth challenger to New England, and they were…for two seasons, before imploding into just another doormat in the division. In other words, nobody in the Patriots’ division appears to be even close to challenging them now or over the next few years. Say what you will about the Baltimore Ravens and Cincinnati Bengals, but they’ve gone about trying to challenge Pittsburgh in the AFC North–particularly Baltimore, who has simply built its franchise to beat the Steelers over the years and with great success. If you’re New England, and you know you’re all but guaranteed five or six wins within your own division every year, you just have to win another six or seven against the rest of the league in-order to capture no worse than a number two seed and a bye into the second round of the postseason. If you do that every year–New England hasn’t had to play in the Wildcard round since 2009–the odds of getting to the Super Bowl increase that much more. To summarize, the Steelers have been a major player in this era, but the Patriots are clearly the standard for success. And it doesn’t look like New England’s dominant run either over the NFL or in the Steelers Patriots rivalry will end any time soon. Taken from the grade book of a teacher who watched his students soar through the second semester and on through the first 2 preliminary exams only to come crashing down to earth during the 3rd prequalification exam, here is the Pittsburgh Steelers Report Card for the latest AFC Championship loss to the Patriots. For the record, Ben Roethlisberger threw 47 times and connected on 31 of them, for one touchdown and one interception. Given the injury to Le’Veon Bell, Ben Roethlisberger was forced to take a lot on to his shoulders, and the force of his leadership was clearly evident on the field. Likewise, at one point Roethlisberger 13 consecutive passes. Yet there were two other plays early in the game where the wide receiver was forced to play defensive back. The Patriots did their best to bottle up Antonio Brown and kept him under 100 yards. Still, Brown caught 7 of 9 balls thrown his way, and showed off some excellent cornerbacks on one of the incomplitions that came his way. Moreover, Brown played with the passion and demeanor of a champion. Unfortunately, the same cannot be said of his counterparts. On the positive side, the Steelers offensive line kept Ben Roethlisberger spotless for almost the entire game. However, the offensive line’s run blocking, especially at the goal line at the end of the first half, left a lot to be desired. The Steelers could have sent a resounding message by punching it in before the second half, instead the offense traveled backwards. For the record, Lawrence Timmons led the team in tackles with 14 and dropped two people behind the line of scrimmage. Ryan Shazier was next with 7, followed by Bud Dupree with 5, James Harrison with 4 and Jarvis Jones with 3. None of those numbers mask the fact that this was a rough day for the Steelers linebackers. Sean Davis had a garbage time sack and a hit on Tom Brady. Artie Burns had 6 tackles including a very physical one which sent his man back several yards. But the real number for the Steelers secondary in this game is zero. As in zero passes defensed, zero interceptions, zero sacks, zero forced fumbles. The simple fact is that Tom Brady picked apart the Steelers pass defense, and he made it look easy. If the Steelers first series of the game offers any indication, Todd Haley’s base game plan was to alternate between feeding the ball to Le’Veon Bell on and trying to make the Patriots pay for focusing on stopping him by throwing downfield. That type of strategy only works if Bell doesn’t get hurt and receivers don’t drop passes that they should catch. The Steelers of course couldn’t overcome Bell’s loss, but those lie in errors of execution as opposed to being rudderless without Bell. On defense, Keith Butler had the unenviable task of breaking some horrendous defensive history against Tom Brady on the second biggest stage that the NFL has to offer. Ever since the game ended there’s been a firestorm over why Butler and Mike Tomlin didn’t shift to the man-coverage approach that worked during the 2011 upset of the Patriots. You’ll find no such second guessing here. The Steelers had the NFL’s most experienced defense in 2011. In 2016 they had one of the younger NFL defenses. Trying to learn a new scheme in the heat of the playoffs simple wouldn’t have worked. If Tomlin’s post game comments are any guide, he and his staff considered and ruled out the option. A wise move even in 20/20 hindsight. Which doesn’t let the Steelers coaches off the hook. Mike Tomlin is right that the gravest errors were execution errors – it is hard to imagine that whatever play was called on Chris Hogan’s first touchdown play envisioned EVERY Steelers push rusher getting COMPLETELY blocked AND allowing Hogan to have HALF of the end zone to himself. Determining the Unsung Hero for this game is hard, because so few Steelers did anything to stand out. We’ll give our nod to Antonio Brown. While mistakes and struggles defined the night for Steelers other Steelers receivers, Antonio Brown like Ben Roethlisberger gave it his all, with tough catches, impressive runs after the catch and excellent improvisational defensive back skills on one bad pass. For that Antonio Brown is the Steelers Unsung Hero for the latest AFC Championship loss to the Patriots. The Steelers 9-game winning streak skidded to a thundering halt at Gillette Stadium with Pittsburgh’s 36-17 loss to the New England Patriots. The AFC Championship loss to the Patriots of course ends the 2016 Steelers season, their Super Bowl hopes and perhaps the last best hope of keeping Bill Belichick from breaking Chuck Noll’s Super Bowl record. Steelers Nation is not a pleasant place after a thorough clock cleaning at the hands of their conference rivals. Ironically enough, 3 root causes fueled the Steelers 3rd AFC Championship loss to the Patriots: A failure to get pressure on Tom Brady, a lack of a playoff-caliber number 2 wide receiver, and a failure to control the line of scrimmage when it counted. But if Tom Brady is the greatest of this era, and in the conversation for the greatest of all time, he remains vulnerable. Tom Brady gets rid of the ball quickly, but if you succeed in getting pressure on him, you can make him look human. New York Giants did it in two Super Bowls. The Denver Broncos did it last year in the AFC Championship. Houston even managed to hang with Brady for a few quarters by following the same formula. In the leadup to the game, the Steelers talked the talk of doing the same. How well did the Steelers walk the walk? Javon Hargrave forced a 3 and out by sacking Brady with the Patriots holding an 3-0 lead early in the 1st quarter. In between, you’d be hard pressed to find a Steeler who breathed on Brady, much less touched him. (For the record, Stephon Tuitt is listed as getting a “QB hit.) It doesn’t take a football genius to predict the results. The New England Patriots converted 11 of 17 third downs, Tom Brady threw for almost 400 yards, and Chris Hogan – a former lacrosse player – caught 9 passes for 180 yards. In his post-game video commentary, the Pittsburgh Post-Gazette’s Ed Bouchette remarked that Bill Belichick observed that the Steelers chose to only 3 rush three defenders most of the night. But even when the Steelers went after Brady, things fell apart. And that was the story of the night. The Steelers couldn’t and wouldn’t get pressure on Brady. Instead Mike Tomlin and Keith Butler trusted their young secondary to make plays in coverage, and Tom Brady scorched the Steelers secondary. Pittsburgh started off the 2016 season on pace to break the 1988 Steelers defense’s record for ineptitude in pressuring the passer. They revved up their sack production well enough to earn themselves a spot in the AFC Championship, but unfortunately on the biggest day of the season, the Steelers defense reverted to its early season form. A little over a year ago, as the Steelers headed to Denver for the divisional playoff game, word was that Sammie Coates was the player to watch in the quest to compensate for Antonio Brown’s absence. Coates played well enough that day, that many coaches had him penciled in as Martavis Bryant’s replacement as soon as news of Byrant’s suspension broke. Who was the target of Ben Roethlisberger’s first pass a bomb down the sidelines on 3rd and 1 the Steelers first series? IF Coates catches that ball, then he puts the Patriots on notice that the Steelers now have a multidimensional, vertical passing game, and he forces them to respect it. Instead, Coates dropped the ball and the Steelers punted. Coates’ drop isn’t much of a surprise for those following his multiple broken fingers story and/or his latent loss of Ben Roethlisberger’s confidence which writers like Steel City Insider’s Jim Wexell have alluded to. It’s telling, however, that the Steelers passing game focused so much on Coates, whom the Steelers targeted 5 times. The Steelers knew they needed someone to stretch the field and divert attention from Antonio Brown. During the Steelers 9-game winning streak, Todd Haley has relied on reserve receivers Eli Rogers and Cobi Hamilton to take heat off of Antonio Brown. And the development of both of those men played a pivotal role in the Steelers late season rally. But ultimately, neither man is ready to be a number 2 wide receiver on a Super Bowl team. Cobi Hamilton had a number of drops and negated his own touchdown by stepping out of bounds. Eli Rogers made some nice catches, but fumbled the ball away deep in Pittsburgh territory, when New England held a 27 to 9 lead late in the third quarter. Jesse James played a strong game at tight end, his failure to get into the end zone notwithstanding. He might not be a true number 1 NFL tight end, but he was not a liability on the field. The same could not be said for other Steelers pass catchers not named Antonio Brown or DeAngelo Williams. On a night when Le’Veon Bell was lost early the Steelers were going to need their passing game to pick up the slack. They weren’t up to the task. On the face of it, the Steelers offensive did a stealer job against the Patriots, while the Steelers defensive line did its part against the running game. The Patriots failed to sack Ben Roethlisberger, and only hit him once per ESPN’s statistics. Fair enough. The Steelers line protected its quarterback. But did anyone else notice the Patriots ability to completely collapse the Steelers offensive line in the Red Zone before the first half ended? DeAngelo Williams lost yards on two consecutive carries. It’s one thing try to ram it in and fail; it is quite another to get smothered in the process. Officially speaking the Steelers run defense “shut LeGarrett Blount down” by holding him to below 50 total yards and keeping his average below 3. But Blount literally needed only 1 carry to break the back of the Steelers defense. On 1st and 10 at the Steelers 19, LeGarrett Blount ran 18 yards rugby-maul style to the Pittsburgh’s 1 with seemingly the entire Steelers defense hanging on. One play later, and Blount was in the end zone, and the Steelers were staring down an 18-point deficit. James Harrison argued that the Patriots didn’t dominate the Steelers physically; for the most part that’s true. But these two series provide poignant examples of how the Patriots made critical plays when it counted. Is this a harsh assessment of the Steelers performance? You bet it is. The New England Patriots were yet again superior to the Pittsburgh Steelers in another AFC Championship game. That’s a bitter pill to swallow after 9 straight wins. But even a brutal loss such as this one shouldn’t overshadow the gains the Steelers have made. All hope looked to be lost when the Dallas Cowboys scored two touchdowns inside the 2-minute warning to give the Steelers their 4th straight loss. Cameron Heyward going on IR prompted this site to declare an Aliens style “Game over!” yet the defense improved during the latter half of the season. And the Steelers spent large portions of the season playing two men who, a year ago would have been charitably projected as their 5th and 6th string wide receivers. At the end of the day, it was good enough to get the Steelers to the AFC Championship, but not through the AFC Championship. In a city that measures success in Lombardis, the 2016 Steelers weren’t quite ready for a Super Bowl run. Mike Tomlin is wise to remind everyone that the Steelers will arrive at Latrobe next summer starting from zero, just like everyone else in the NFL. Yes, they will again indeed start at zero next July. But if the Steelers internalize the lessons they learned this season, they will give themselves and excellent chance of not only returning but also winning the AFC Championship and the game that comes after it…. The Pittsburgh Steelers 2016 season came to a crashing halt at Gillette Stadium to the tune of 36-17, as the Patriots beat the Steelers to advance to Super Bowl LI. All of those factors above, except for perhaps the Steelers lack of a pass rush, could have been predicted, more or less going into the game. At the end of the day, neither Bud Dupree nor James Harrison were terribly effective in rushing from the edges, and the prospect of Lawrence Timmons and Ryan Shazier rushing from up the middle never emerged. But the Steelers inability to dominate the line of scrimmage amounts to an unwelcome surprise. It would be unfair to say that the Patriots dominated the line of scrimmage throughout the game, but they did control it when it counted, both on offense and on defense. That, as much as anything else, is why New England has a shot at its 5th Super Bowl. Here is the post-game poll where you can register your thoughts about why the Steelers came up short. Unlike game ball polls, we’re not allowing multiple votes – you’ve got to take a stand on this one Steelers Nation. Likewise, we’re not opening the option of write ins, mainly because yours truly is in no mood to deal with internet trolls. However, if you have a reason why you think the Steelers lost to the Patriots that’s not represented in this poll, then please by all means leave a comment and state your case. At the end of the day, the 2016 Pittsburgh Steelers had a strong season, but it did not have a successful season as the Lombardi Trophy will go to either the New England Patriots or the Atlanta Falcons. The AFC Championship game ended after 11:00 pm here in Buenos Aires. Check back later for our full analysis of the Steelers 3rd AFC Championship loss to the New England Patriots. Everything up to now is a waste if we don’t hold the Lombardi at the end of it. There’s only one successful team at the end of the year. That’s the one holding the Lombardi. James Harrison’s Lombardi logic is both clear and indisputable. But there’s also an irony in it that raises the stakes for the overall franchise, if not for the men on the field. By beating the Patriots in the AFC Championship, the Steelers would be securing, for another year Chuck Noll’s historical legacy. If press questions are any guide, no one on the South Side is focusing on this issue. Good. That’s the way it should be. As Mike Tomlin has stated time and time again, winning a Super Bowl for the sake of winning a Super Bowl remains the franchise’s sole focus. That’s why, prior to Super Bowl XL, Dan Rooney told the team to disregard any “One for the Thumb” talk. The message an mindset in the Steelers locker room going into the AFC Championship game against the Patriots hasn’t changed. Team’s falter when players, coaches and even front office staff get caught up in chasing records or legacies. Fortunately citizens of Steelers Nation and their scribes don’t suffer those same limits. There’s not a lot to discuss here because the math is simple. Chuck Noll has four Super Bowl titles to is name. Bill Belichick, the man Chuck Noll beat in his final game, also has four Super Bowl titles to his name. If the Steelers beat the Patriots in the AFC Championship, then Bill Belichick’s Lombardi count remains frozen at 4 for another year at least. Nietzsche argued that philosophers debated each other through the course of history. Sports dynasties aren’t so lucky. Time renders comparisons between greats from different eras meaningless, if entertaining. But there are rare occasions when a franchise can defend its historical legacy against a modern threat. Think of Don Shula gathering the ’72 Miami Dolphins for the ’85 Dolphins upset of the ’85 Bears. The Steelers AFC Championship game against the Patriots presents a similar occasion, and it would be nice to see the team take a step at preserving Chuck Noll’s Lombardi legacy, even for another year. Enough said. Since their January 1998 AFC Divisional playoff win over Pete Carroll’s Patriots, the Steelers are 3-10 vs. the Patriots and 0-2 against New England in the playoffs. It is time for Mike Tomlin’s team to take the field at Gillette Stadium and pen a different story for Pittsburgh. The odds makers advise that favoring the Patriots is a smart move. Bill Belichick undoubtedly has a plan to neutralize the combined threat of Le’Veon Bell, Ben Roethlisberger and Antonio Brown. So be it. We already know that Eli Rogers, Darrius Heyward-Bey, Cobi Hamilton and/or Jesse James must step up for the Steelers in the Red Zone. Word is the interior of the Patriots line is weak, opening opportunities for Shazier, Timmons and/or Javon Hargrave to get pressure up the middle. But Belichick knows this and is planning accordingly, just as he’s planning to counter the Steelers counter to beef up protection in the middle by brining Harrison and Bud Dupree on the edges. The time for strategizing and speculation is ending and the moment for execution is about to begin. Super Bowl windows take an inordinately long time to pry open, only to slam shut in the blink of an eye. Roethlisberger, Harrison, Timmons, William Gay and long snapper Greg Warren are the only Steelers who wear Super Bowl rings. Antonio Brown, Ramon Foster, David Johnson and Maurkice Pouncey are the only other members of the Black and Gold remaining from the Super Bowl XLV team. The window is open for the Steelers to climb the Stair Way to Seven. Its time for Pittsburgh to seize the opportunity. It’s time for the Steelers to beat the Patriots in the playoffs to win the AFC Championship and head to Super Bowl LI.